Image: Mimomy/Getty Images. Design: Kenzie Mastroe/SheKnows. Anyone can stay at an Airbnb. But do you have the guts to book a listing steeped in spooky folklore? As we enter the darker, colder stretch of the year, it’s easy to get caught up in ghost stories and full moons and all other manner of portentous things. And what better time to spend a few unsettling nights at a home that is rumored to be haunted? 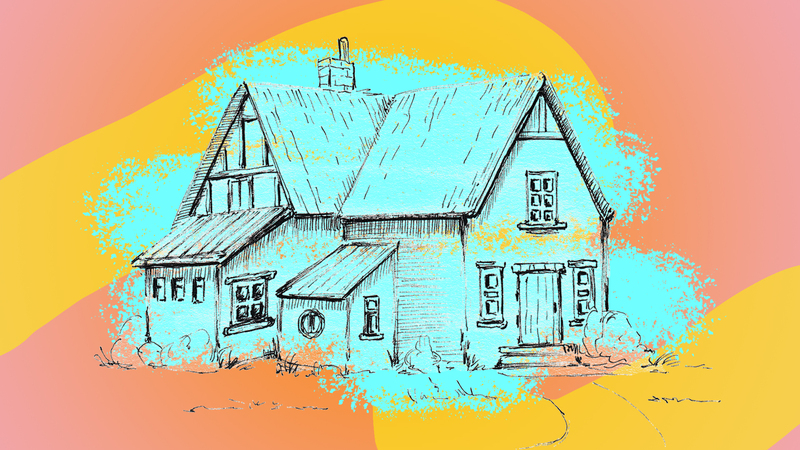 Part of the appeal of Airbnbs lies in the very fact that they have character and history. If you’ve ever booked one of these unique listings, you can attest to the fact that it’s different from staying in some generic hotel with a subpar continental breakfast. The right Airbnb becomes part of the experience of wherever you are visiting. 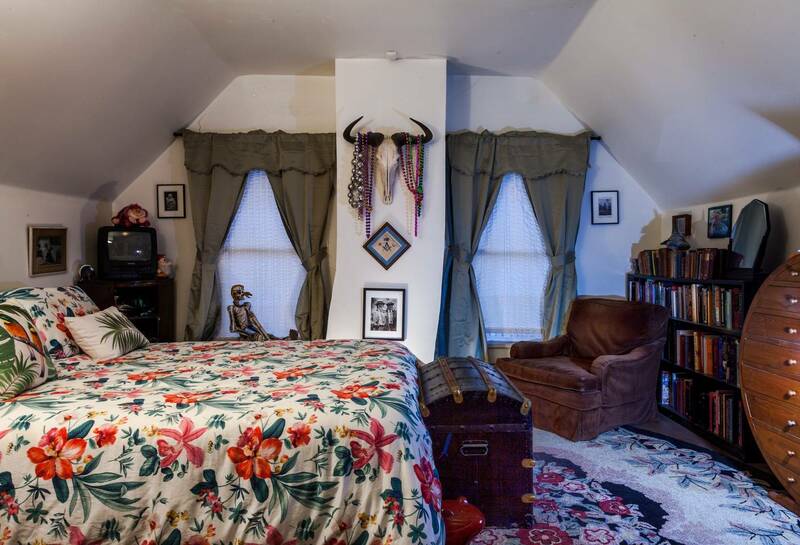 But thanks to their paranormal reputations, the following supposedly haunted Airbnbs don’t play second fiddle to their surroundings — they are the destination you’re traveling to see. All that’s left is to determine whether you dare to have a truly, ahem, spirited vacation. 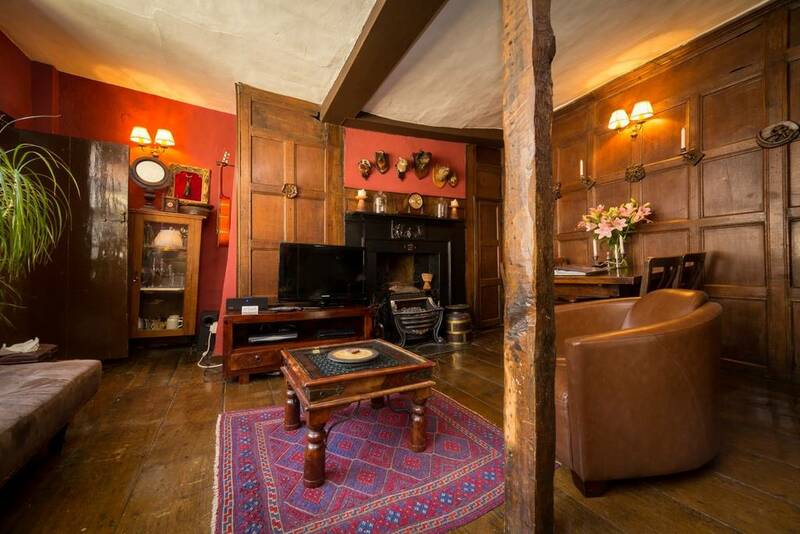 Called the "madness chamber," this Airbnb boasts its haunted status right in its description — after all, the property is over 600 years old. There are bound to be a few ghosts lingering after that long, right? Guests describe it as spooky and gothic, not to mention perhaps too creepy for the overly superstitious. Visiting a Wild West ghost town is one thing. But did you know you can stay in one? La Solita is a cozy guest room in the Old Cuchillo Hotel in the tiny ghost town of Cuchillo, New Mexico. The property's haunted history includes serving as a stagecoach stop for the nearby mines and railroad — and the hotel has harbored countless drifters and travelers for more than a century. All of that to reiterate it's in an actual ghost town, y'all. For starters, Parks-Bowman Mansion is located in New Orleans, Louisiana — a city widely considered one of the most haunted in the country (if not the world). But above and beyond that haunted heritage, this Airbnb room at the mansion boasts its own particular paranormal pedigree: a ghost. 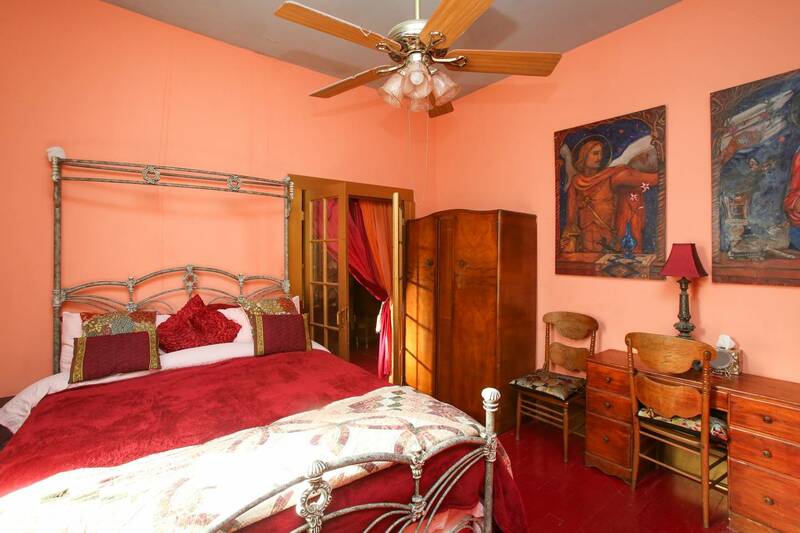 Guests who've reviewed the haunted bedroom claim to have encountered a shy little girl in a yellow dress roaming around. Some people hear footsteps. Other people report the lights flipping on and off or the bed vibrating. With a name like the Dead and Breakfast, you can bet you're in for a paranormal good time at this Airbnb. According to the homeowner, Otter, paranormal investigations are a common occurrence at this haunted New Orleans Victorian, and guests can even get involved. You can also participate in séances and bone readings or book a psychic medium. When you think of beautiful farmhouses, you probably think of Chip and Joanna Gaines. 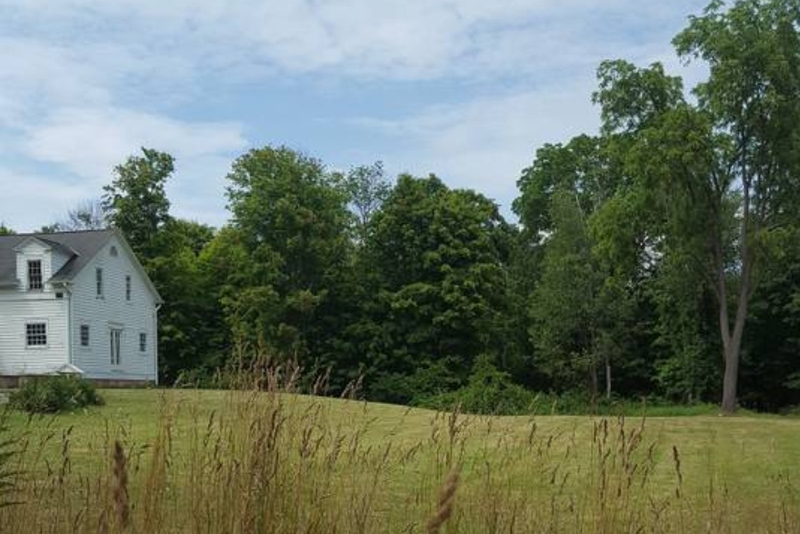 But at this historic property in Gettysburg, you'll have much more than shiplap on your mind. 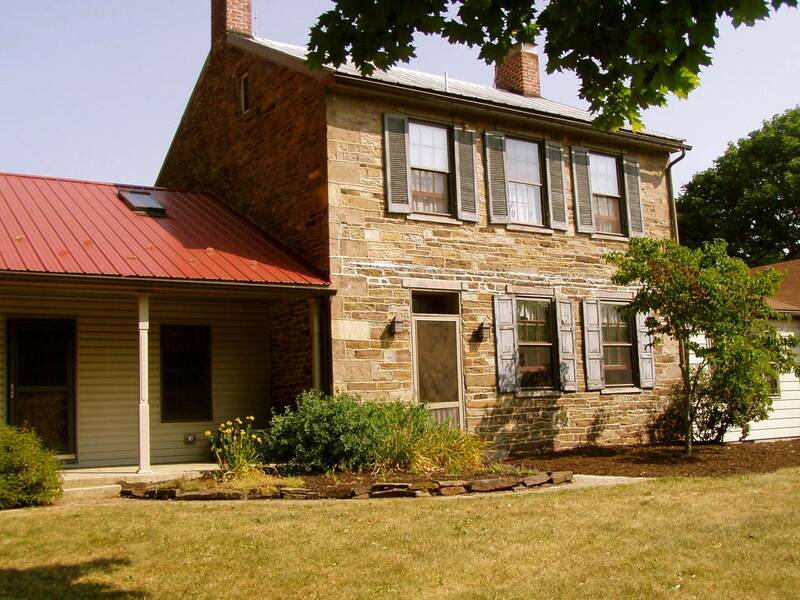 Used as a hospital during the Battle of Gettysburg, the property houses a few (life)long-term guests. "I will be your only 'living' host, but there are many others who reside with me. They have lived at the farm for many many years, some for hundreds of years. Yes, the house is haunted, but they are all friendly! 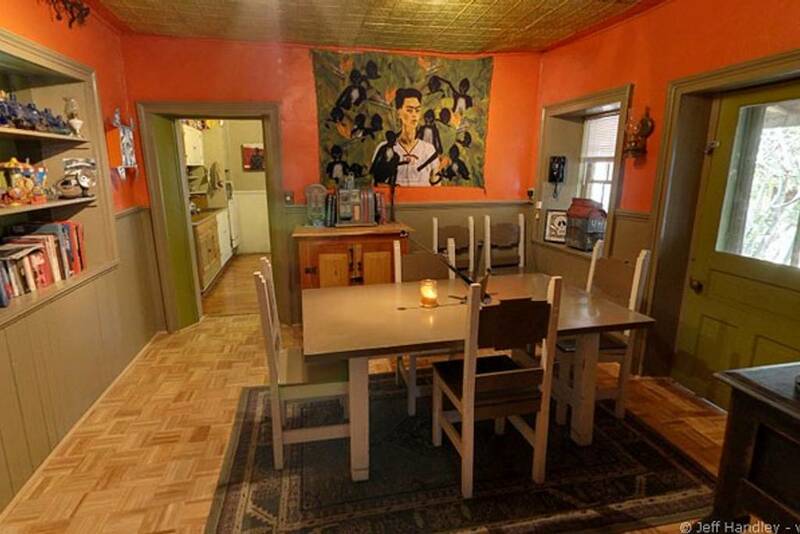 I have been here for 36 years and have lots of interesting stories that I'd be happy to share with you if you are interested," explains the Airbnb homeowner on the listing. If you have a few spare days to spend en route, use them wisely by catching a flight to Russia. 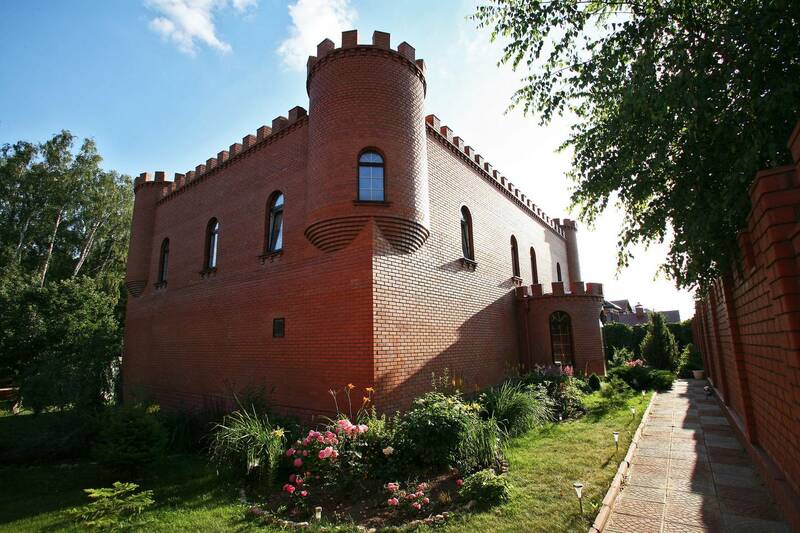 There, you can stay in a legitimately stunning castle just outside Moscow. Per the listing, there are expansive gardens on the property as well as two swimming pools, a wooden sauna and, oh, you know, just your garden-variety ghost of the castle that appears once weekly at midnight. 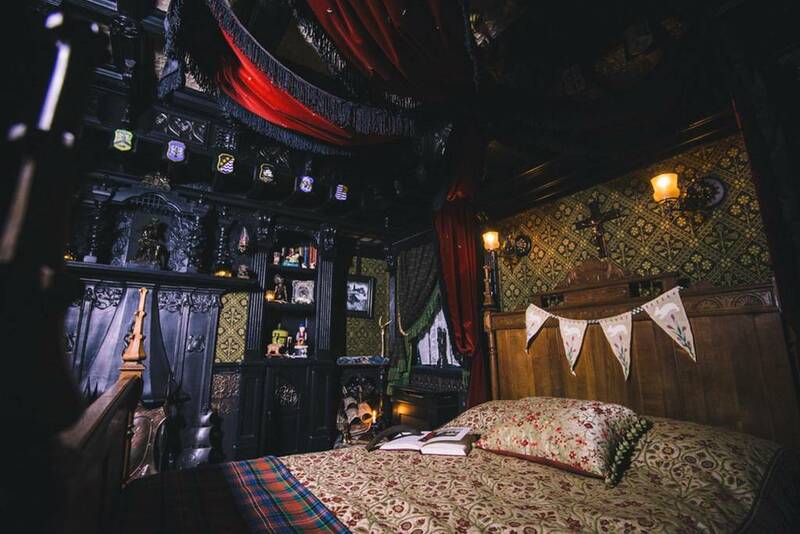 One look at this gothic bedroom with crosses on the dark walls, and there's no denying something unsettling inhabits this space. This room, No. 9, was once the bedchamber of an Edwardian boy named Jake who tragically met an untimely death. Ever since, he has been rumored to haunt the place. In the interest of full disclosure, there's some debate over whether this Minnesota Airbnb is actually haunted or just looks really frickin' haunted. The fact that it is reportedly guarded by a giant Doberman contributes to the ominous vibe, but guests insist "Scorch" is pretty darn hospitable. Gotta pet? There's a haunted Airbnb for that too! 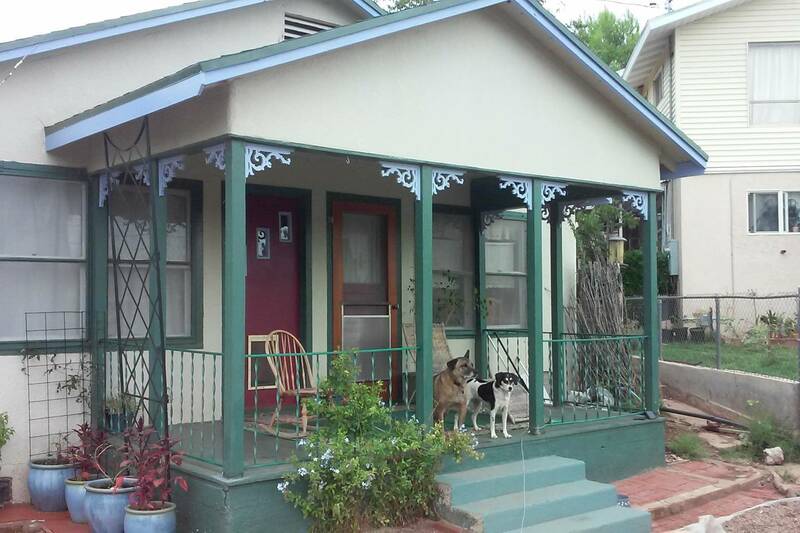 This precious little home lies just outside the desirable Warren district of Bisbee, Arizona, Totally pet-friendly (there are two dogs who act as unofficial hosts), the owner encourages you to bring your furry companions. 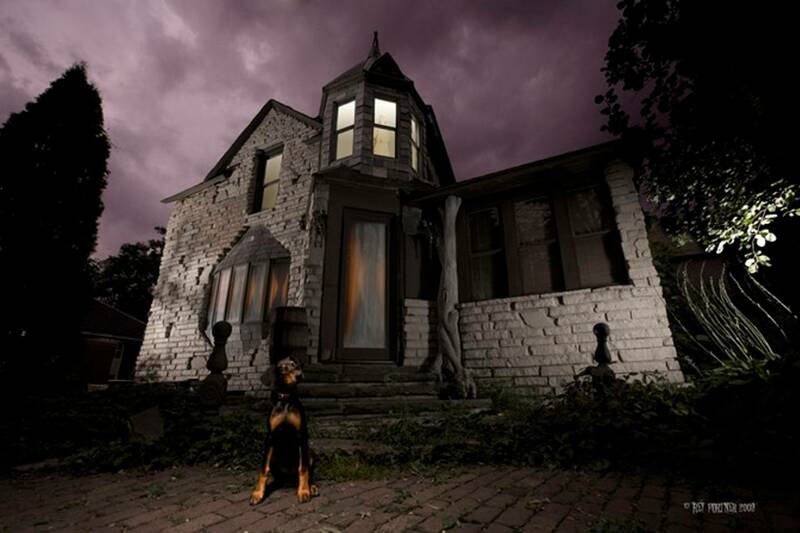 Just make sure your pet doesn't spook easily, because the homeowner also insists the house is genuinely haunted. In better news, they feel confident the "repeated episodes of odd unexplained mischief" are totally harmless. Here's another ghost town dwelling for your consideration, this time in Texas. 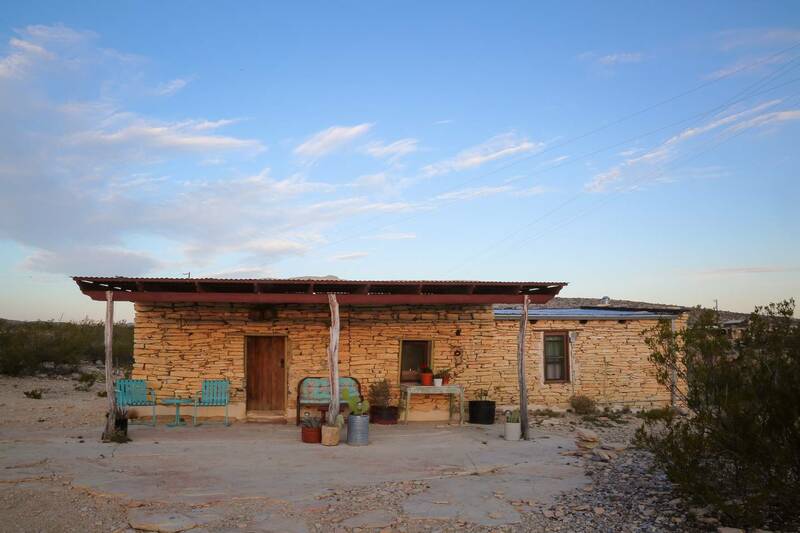 Built 100 years ago, the Terlingua ghost town ruin was dubbed Boystown in the '80s by Oregon river guides who took up residence at the property. The name stuck. And with a rich history as a miners casita, it's no wonder Boystown is so memorable. Known as Laura's Cottage, this 1799 guesthouse now hosts guests who'd like to explore the storied Southern city of Savannah, Georgia. If it looks familiar, you may recognize it from film — it was used in the Robert Redford movie, The Conspirator. But enough about Redford, right? Here are the deets you really want: The house is supposedly haunted by a woman named (you guessed it!) Laura, who frequently makes herself known when guests are visiting. Located in the beautiful Tuscan countryside, this Airbnb offers plenty to adore: a pergola, a private garden and a swimming pool, to name a few. But it also comes complete with a super-spooky backstory that may literally haunt you. 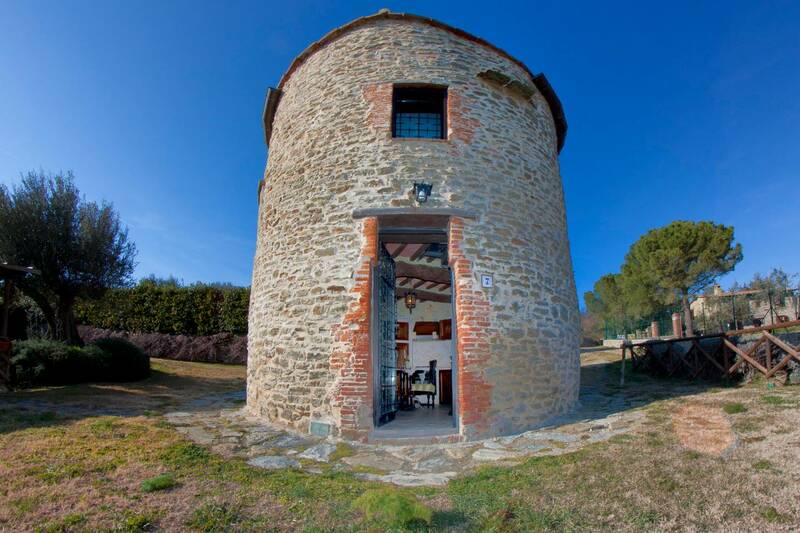 The structure was created out of the restoration of an old abandoned stable in the hamlet of Sanguineto. As you may have picked up on, the name "Sanguineto" is dominated by the word "sanguine" — for good reason. The town was so named because it was the site of a famously bloody battle between the Romans and Carthaginians (led by Hannibal) in 217 B.C. If you crave a more rustic Airbnb experience, head on over to Richfield, Ohio. 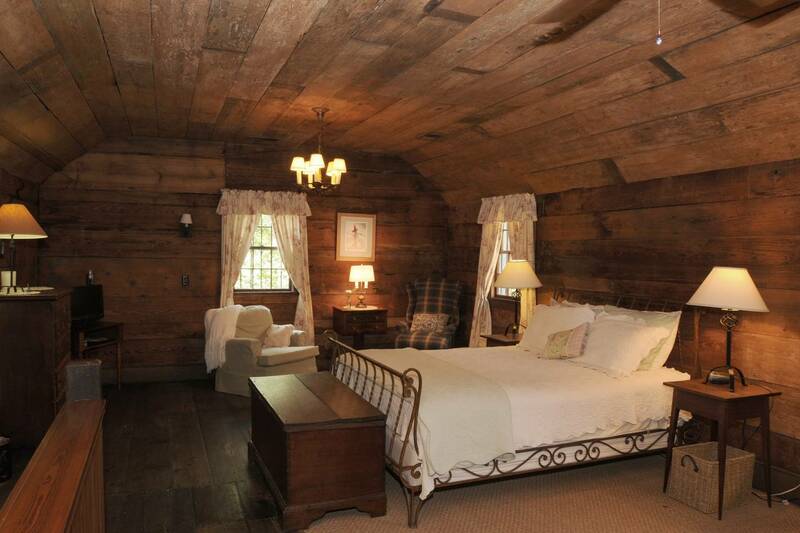 There, you can pitch a tent at the historic Farnam Manor. Word of warning, though: It has been ranked one of the top 10 most spiritually active places in Northeast Ohio! As it turns out, the circa 1834 manor has a bit of a tragic history. In 1858, the lord of the manor lost his daughter Emily when she drowned on the property. Rumor has it her spirit never left, and it is often described as an "angelic vortex." Over the years, guests who've camped here have reported connecting with recently departed loved ones too.